Congratulations to Andrew Snell who finished 20th out of 586 entries in the GJW Insurance SailJuice Winter Series in his RS Aero 7. Andrew had a great time touring the circuit, competing in 6 out of the 7 events, braving the cold and most often strong winds too! 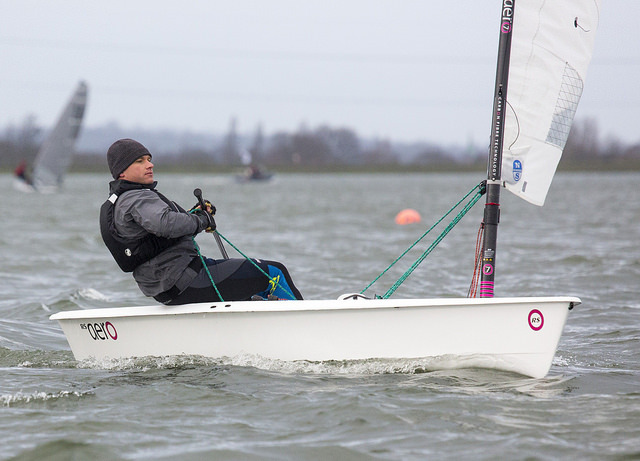 After also winning Race 9 in the 37 boat RS Aero 7 fleet at last years UK Nationals he is certainly one to watch out for this season! The RS Aero UK Winter Series used some of these events and we still have another two to come; Roadford Devon 28th Feb and the UK Spring Champs at Grafham on 19/20th March. Below are the extracted RS Aero 7 Results, not including the RS Aero 5 and RS Aero 9 rigs, SailRacer produced these for any Class with over 15 entries. As a class, after a busy season, we had quite a quiet November and December and gained good momentum later on in this series. We also had great winter turnouts outside this series, achieving double figures at both Starcross and Northampton, so our dedicated RS Aero UK Winter Series shows quote a few more competitors.